We started an alpaca farm, with the intention of me focusing primarily on the fiber aspect of farming. I like freedom that it gives me to express my creativity, and the ability to work at home, surrounded by our critters and be able to be a stay at home mom to our 2 year old daughter. My choices of color, textures, and lots of sparkle! 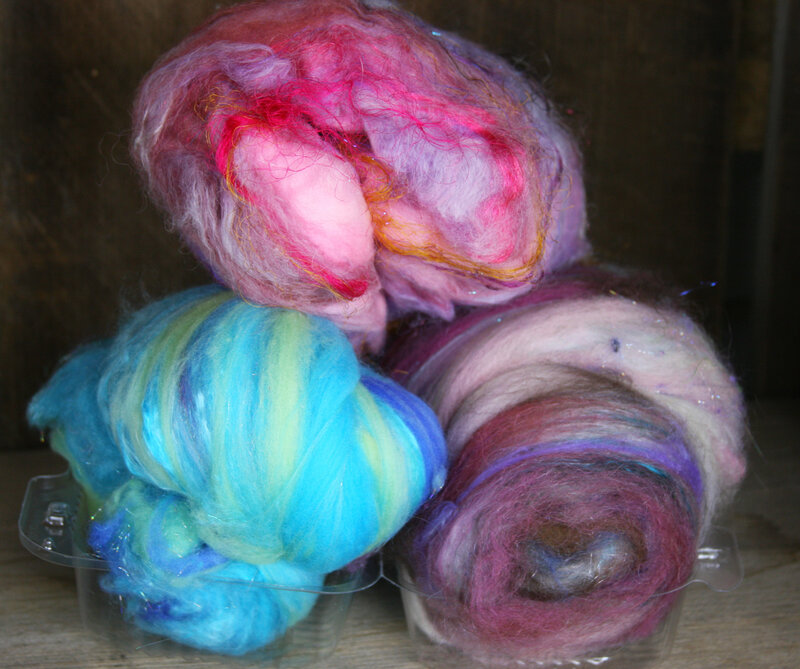 I strive to make fiber, batts and yarn that make fellow fiberistas SQUEE! I love to share my techniques, I am all about educating when at all possible. Everybody does things their own way, and I am here to help. perfect, consistently even, corespun singles, I am a freak about that. 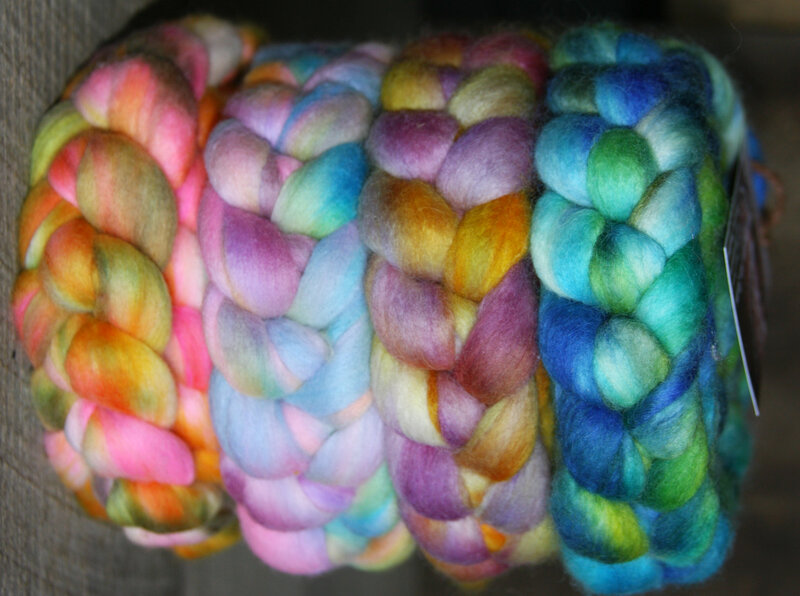 When I first started, I only wanted to use natural, 100% alpaca. Today, that alpaca is being blended with recycled prison uniforms and plastic bottles along with silk, yak and camel. 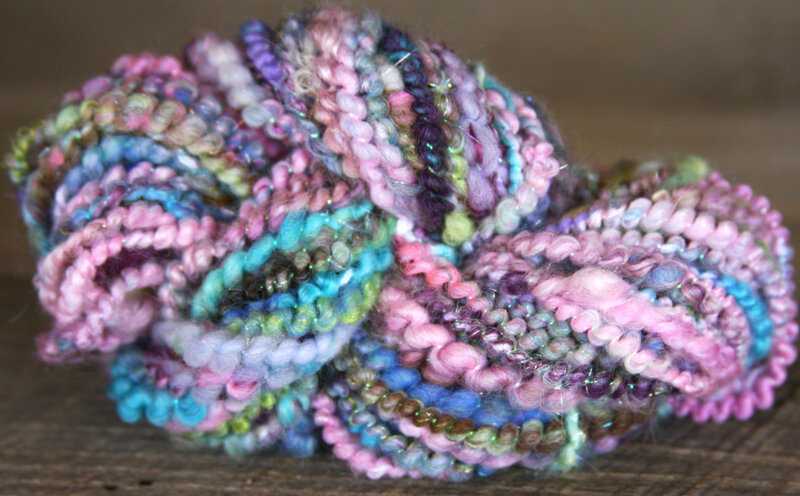 I love the mix of textures that each fiber adds and how each fiber out there takes color in a different way. I just took my original mode of thinking and went gang-busters.